Benjy Brackman – executive director and rabbi at Chabad of NW Metro Denver in Westminster – believes Shakespeare either didn’t understand Jewish law or was exercising artistic license when he wrote “The Merchant of Venice.” Shylock, the Jewish moneylender in the play, would never have demanded a pound of flesh from debtors, Brackman says. Brackman will lead “Life in the Balance: Jewish Perspectives on Everyday Medical Dilemmas,” a nine-hour Jewish Learning Institute course spread out over six Wednesdays evening from 7:oo pm to 8:30 pm at the Chabad Jewish Center 4505 W 112th Ave Westminster. Cost is $90, with continuing education credits for professionals for an added cost. For more information and to register, go to www.COJewish.com/jli or call 720-984-5805. Topics in the course will be “An Ounce of Prevention,” “Sanctity in Death,” “Complications in Pregnancy,” “Confronting the Organ Shortage,” “End-of-Life Dilemmas” and “A Gift of Generations.” It will feature real-life case studies and prepare people to make decisions they may face one day. The course begins on Wednesday October 30th with “An Ounce of Prevention” and will focus on the BRCA genetic mutations common in Ashkenazi Jews that significantly increase the risk of breast and ovarian cancers. If a woman knows she has the gene, Brackman asks, is she morally obligated to get tested, or may she “just let what will happen, happen”? And how does someone’s decision effect society? As an example, Brackman cites a motorcyclist who refuses to wear a helmet and may sustain massive injuries requiring a lifetime of care in a government facility. In honor of Breast Cancer Awareness Month the Susan G. Komen of Metro Denver has endorsed the Oct 30th lesson and Rabbi Brackman is offering it free to the public. 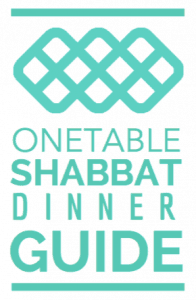 Perspectives students looking to attend this class should email Rabbi Brackman at milehighchabad@aol.com.